SAVE 15 SEPTEMBER 2019 for our ANNIVERSARY: On 1 April we turned 25! To adequately prepare for this momentous milestone, we’ll be celebrating our anniversary on Sunday 15 September 2019. 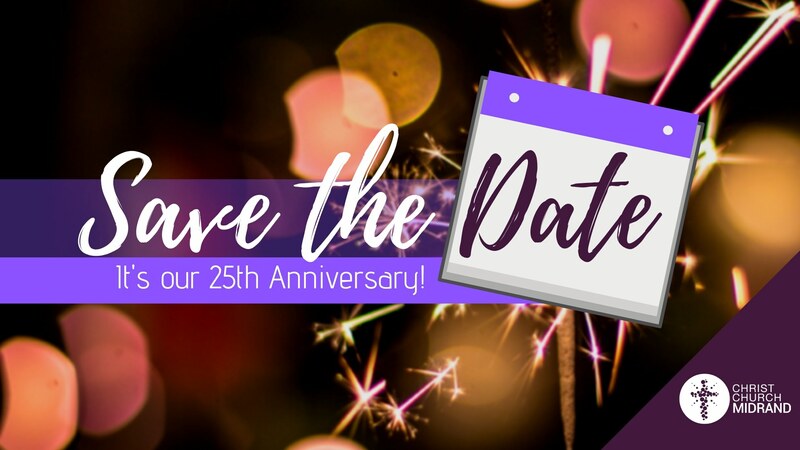 Please save this date on your calendar as we’ll not only be celebrating 25 years of Christ Church Midrand, but we will also be introducing our plans for Chapter Three point Five.